It is the attraction in Turkey. 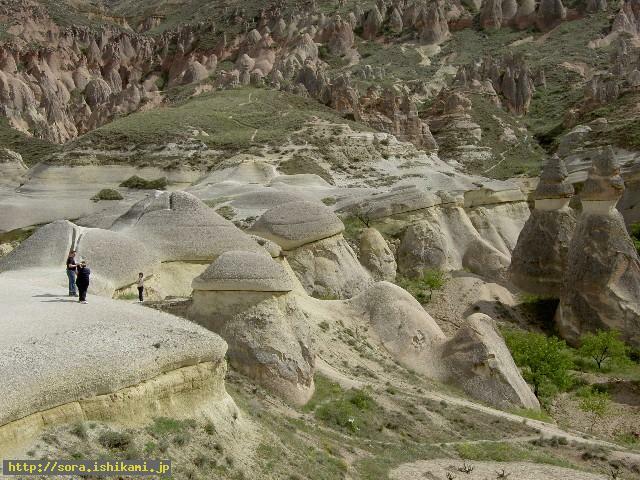 It is famous for rock formations and the underground city. Stones shaped like hats were made by 'the dropped part' of Stone gods so that Stone gods could inform there is a city under them. Many rooms were able to be made easily because holes were drilled while the dead body were soft after Stone gods' death. Stone humans were made in the rooms. Those Stone humans took care of humanity. As Stone humans were made in the underground, they were threatened to be confined in the underground forever if they disobey the direction of the Ruler's Stars. Therefore they enticed humanity to fight and even when their subconsciousness were born again as humanity, they came to fight.